“I first got to know Derek Barrett and Peach Recruitment in early 1997. At that time I was an aircraft engineer working with Shannon Aerospace, where seven years earlier I started my career in aviation as a trainee aircraft maintenance technician. 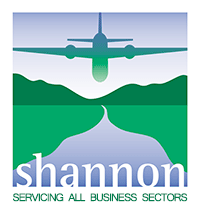 I saw an advertisement placed by Peach in a local newspaper looking for a Technical Services Manager for a Shannon based engine leasing company. Initially I wasn’t sure whether myself and the role were suitable for each other, but I was considering a change and decided to apply in order to find out more. I then met with Derek who provided more details about the job and probed my suitability for the role, before I was asked to interview with the client. I recall that this was when I benefited most from the involvement of Peach, from preparation for the interview to providing me with candid and logical advice on the opportunity that lay in front of me. Clearly that all paid off, a match was made and I joined Engine Lease Finance Corporation in April 1997. ELFC was in the early stages of its development, having just six employees (including “newbie” me) and a portfolio of 15 engines worth $65m. My early role involved a mixture of technical, sales and market research functions, a diverse set of responsibility typical of small company and a fantastic exposure to a range of business experiences. Just as Derek had advised, there were plenty of opportunities for development within ELFC. In 2000 I was promoted to the position of Vice President Technical with responsibilities for asset management, engine valuations and technical aspects of contract negotiation. In 2009 I was promoted again, this time to the position of Senior Vice President Technical, with responsibility for day to day operations of the technical department including management of a portfolio of 200+ engines. Then in January 2011, I was appointed to my current position of Executive Vice President – Head of Technical. As a member of the Executive Team reporting to the CEO, I have overall responsibility for all Technical and IT functions of ELFC. With the support of ELFC over the last 21 years, I added to my skills by obtaining a Diploma in Business Studies from the National University of Ireland and an MBA in Aviation Management from the University of Limerick, which gave me additional tools to deal with the challenges of the business. There have been many challenges along the way, but each one has been taken on and overcome by the ELFC team, by combining experience with a combination effort, determination and persistence.